Father God, today we pray for the recent string of fires in Louisiana that have either destroyed or significantly damaged three Baptist churches within St. Landry Parish. We are grateful that these churches were vacant at the time and therefore there weren’t any casualties. We pray that as the FBI and ATF continue their investigation that the cause becomes clear very quickly, and should this be a case of arson, that the people responsible are found and stopped from any further attempts. We pray for the congregations of each of these churches, that you give them hope, guard their hearts from fear, and help them to feel safe in you. We pray for the pastors as they continue to lead and as they make decisions about rebuilding and securing their buildings going forward. 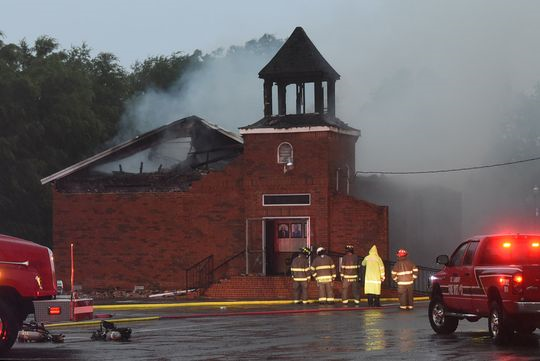 Lord, as these are predominantly black churches that were affected, we pray that these fires were not based on race. We wholeheartedly pray against racism. Father, we love you and we seek your guidance in all things. In Jesus’ name, amen.